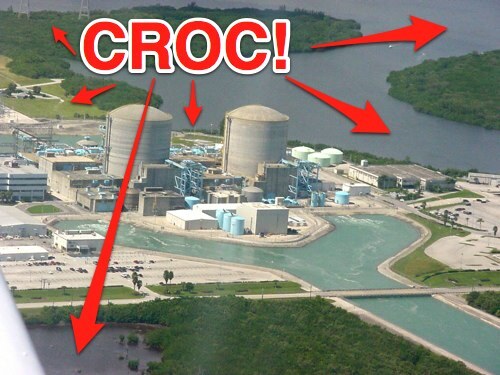 Crocodile population has exploded in the tranquil man made canals surrounding the Turkey Point Nuclear Power Plant in Homestead, Florida. What could possibly go wrong? That’s where Bob Bertelson and Mario Aldecoa come in. They work for FPL’s Land Utilization unit monitoring the ground water and wildlife on the sprawling property. Bertelson says he’s seen a ten fold increase in the number of crocs in the last 20 years. The American Crocodile was once on the endangered species list, so a population boom is very good news. But for the love of God, will someone please check and see if they shoot lasers out of their eyes? This is a SyFy movie of the week waiting to happen.